Towards the end of the week, I always have small amounts of leftover kale and tofu, and I’ve found that this stir-fry is the best way to use them up. Although I’ve made this dish countless times, it had never occurred to me to put it on the blog until my husband suggested it the other night. The kale and tofu, along with a handful of raw cashews and a generous dousing of the garlic-ginger sauce all taste amazing together with nothing else added except for some buckwheat noodles. 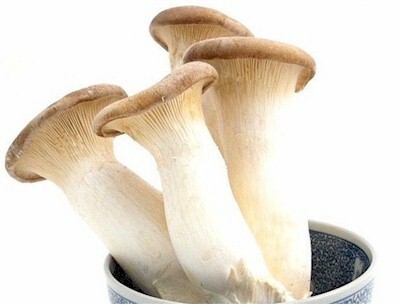 However, I also had some leftover king oyster mushroom stems (when you slice them, they become vegan scallops! ), carrots and shallots this week, so they were added in as well to create this colorful, healthy and delicious stir-fry. Place the garlic, ginger and sesame oil into a skillet over low heat. Allow to soften for about 10 minutes, stirring occasionally to ensure the garlic does not burn. Turn the heat up to medium high. When it starts to sizzle, add in the mirin and stir. Add in the remaining sauce ingredients and allow to sizzle for about 2 minutes, then transfer to a bowl to cool. Now throw the tofu onto the same skillet, cover and saute until browned, about 5-7 minutes for each side. Remove from the skillet and then add any other leftover vegetables, and saute as needed. Throw the chopped kale and cashews in last, and saute for only 2-3 minutes to soften. While the tofu and vegetables are cooking, bring plenty of water to a boil in a separate medium-sized saucepan. Add in the buckwheat noodles and boil according to package directions. Rinse in plenty of cool water and then transfer to serving bowls. 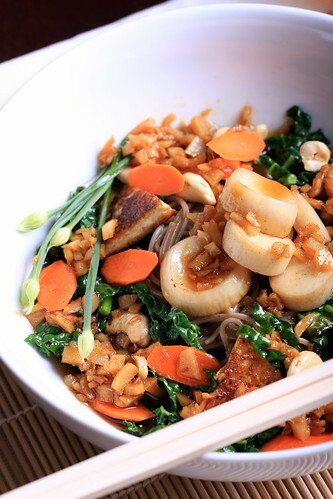 Add the cooked tofu and vegetables to the serving bowls with noodles, then top with the garlic-ginger sauce. Serve immediately. -freeze the bowl about 24 hours before making the ice cream. wrap it in a plastic bag to prevent it from getting ice crystals on it. -don't put in any "extras"(chocolate chips, etc.) until towards the end of the churning, when the ice cream is pretty thick. otherwise, the chocolate chips will freeze and stick the ice cream bowl, and mess up the churning(i learned from experience). -mine takes about 25 minutes to process the ice cream. Looks fantastic. 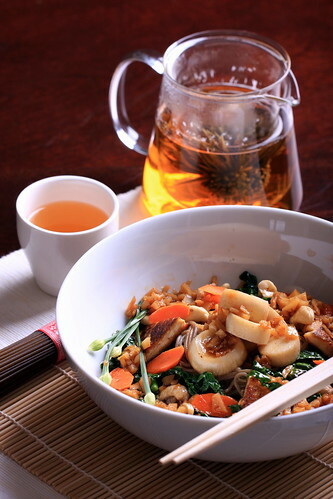 Stir fries are so easy and a great way to use leftovers up, but this still sounds really fresh. Digging the addition of cold soba noodles – nice contrast with the veggies.